I took more effort in the Red Light theme than others that I have created and I really like this one. This time, I used a lot of vector techniques in Photoshop Illustrator, thus giving you this artistic look. I have created a few 3-column themes but this is the first one in my portfolio where there are two sidebars which are positioned on the left and the right side. The following is an example of a custom design of the Red Light theme. Step 2 Under “Theme Style”, select your color scheme in blue or green. Step 3 Save the page and refresh your blog to see the change! The Red Light theme has a multi-level drop-down menu. The drop-down menu will show up automatically in the header navigation when you create hierarchical pages. 2010-04-13 v2.00 – Added drop-down menu, ad-widget, Options page that includes Twitter and feed integration, advanced automatic thumbnails, custom style and more. 2011-08-01 v3.00 – New – Added drop-down menu, ad-widget, Options page, advanced automatic thumbnails, custom style, custom menu (works on WP 3+ onwards) and enabled localization (translation). Glad that you like this theme. The uploaded filename was wrong. I just changed it. Thanks for reminding! I’ve been following your themes for a while now – from one designer to another: your themes really are some of the best out there. It’s great to see the passion for design in your work! very impressive, it’s the best I have seen, good job ! I searched all around your website there’s no explanation. Thank you for the quick answer. I went to bloggerstyles.com and followed every instruction, but the result is far worst than the previous. Bloggerstyles is the converter for my WordPress themes so I am not sure exactly how the conversion was done. Please post your issue on Bloggerstyles instead. I copied the instruction above from my other theme, Watercolor found on http://www.bloggerstyles.com/watercolor-blogger-template/ so I am not sure if it works on the Red Light theme too. where should i get d direct link of this theme? 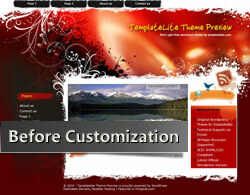 I am sorry that I don’t provide direct link because I need to track the number of downloads for my themes. I think that I will replace my Green Light for it ! Thanks for you perfect job ! As you can see, all my themes have different layout and styles. 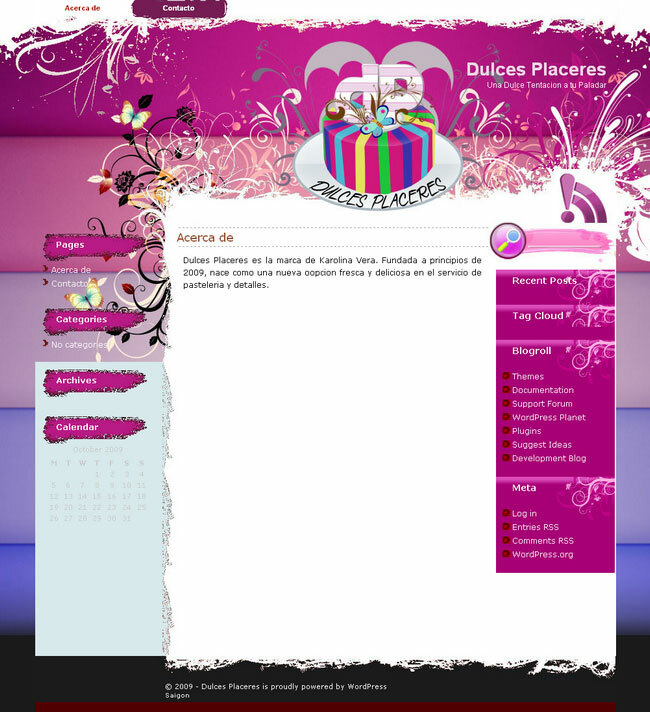 I still have many design ideas to implement before I’ll go back to modify the previous themes. I’ll consider your request of making it green but it won’t be in the near future. I hope for your understanding. I too hope that you can do a green variation of this theme!! Hi Michael, you come to the wrong site for Blogger template support. This site only supports WordPress theme issues. 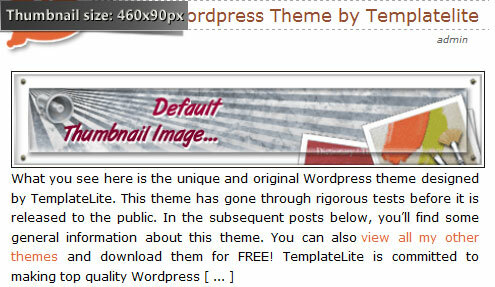 Please go to http://www.bloggerstyles.com/red-light-blogger-template/ for the support of this Blogger template. Thank you, I am using it on my site. is possibile change the color of theme? Example a dark theme with this style? There are two ways if you want to change the color of the theme. 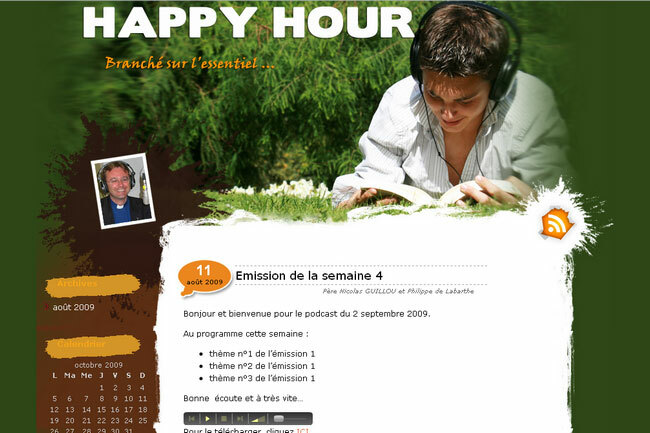 Hi, the theme comes with 2 sidebars and it is quite impossible to remove any of them. If you just want to edit the sidebar images, you can donate to get the PSD file. I hope you can give me some advice what to do to finally use this theme for my site. you are very creative. keep up your good works! Hi, please upgrade your wordpress from WordPress 2.3.3 to the latest one. 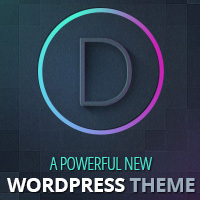 My themes work on WordPress 2.7+. oh, ic! thanks for responding brian. i am now a proud and happy user of your theme photo frame, fortunately for me, it works in the version i’m using. 😀 thanks! 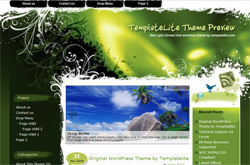 You have to have the best WordPress themes around! Have you considered a season based off your Green Light and Red Light themes…Green Spring, Red Summer, Orange/Brown Fall, White/Blue winter or something? Thanks for the suggestion! I will keep it in mind! EXCELLENT themes. I just wonder if the theme can display at 100%? full screen? if yes, which file should i edit? Yes. 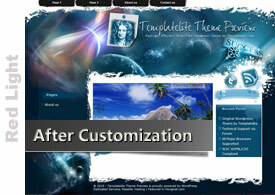 All my themes will display well on browser with resolution of 1024px and below. What is it that the theme can’t display well? what i mean is colum1,2,3 all stretch out at 100% display. Right now, it seem to be in the center. I view the theme on IE7, Firefox and Chrome it displays well at full screen. Can you show me your URL so I can go take a look? is there a way to for me to change it to display at 100% instead of 950px? also, what is the ideal size for the picture when i insert in my blog? i tried to test it out and it looks really nice on my 24″ monitor. (picture sized at 800 pixel x700 pixel) However when i view it on my 15″ laptop, the picture seem to squeeze horizontaly and it looks distor. would it possible for me to get rid of the right colum? I have my picture sized at 650pixel and it looks fine with big monitor. Once view in laptop, the the picture squeeze horizontal. I think the problem would be solve if we can take away the right size colum. Would that be possible? I am sorry that it is quite impossible to get rid of the right column because of the theme structure. 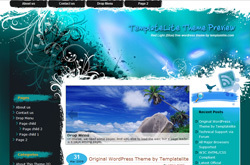 Please go to http://www.bloggerstyles.com for Blogspot template related issues. Love this template! I didn’t think it would work for a ballet theme but actually, I think it looks pretty good. I also like the bright colour of the sidebar which I think looks good for the shop listings. However I note that the RSS feed button and Search don’t seem to work on my office PC (I’m using IE). Is this a problem you’ve come across? @Marisa Wright, I viewed your site with IE6, IE7 and IE8 and the rss feed and search are working fine for your site at myballetwear.com. Please try to view your site in another PC and see if you still have this problem. Thanks Brian. I found a “calmer”template for my ballet site after all – however I have just converted my flamenco site to Red Light and it looks FANTASTIC (excuse me for shouting, I’m excited). However I notice the credit at the bottom doesn’t look right. I’m not conscious of having changed anything – I did originally download it from another site so wondering if they changed something? The credit link at the bottom of your site is correct. I just changed it to something else. I love this theme so much, I’ve also converted my belly dance site now! The red/burnt orange tones of this theme seem just perfect for the passionate nature of belly dancing and flamenco – I’ve been searching for something like this for ages. And a “gold standard” theme, too. Congratulations! HI, I’VE BEEN USING REDLIGHT AS MY BLOG TEMPLATE & I ENCOUNTERED SOME PROBLEM THE POST DATE IS STILL UNDEFINED.I DONT KNOW WHY. PLEASE LET ME KNOW HOW TO DEFINE POST DATE…I TRY TO EDIT THE HTML BUT STILL UNDEFINED. TNX FOR FUTURE RESPONSE. @SCOFIELDJR, you are asking a blogspot question. Please go to Bloggerstyles.com instead for support. This site only deals with WordPress related issues. @zaiMi, the sites in the showcase is the property of the respective owners so I am sorry that you can’t use it as it is. I love this theme, but I can’t get it to display the words “previous posts and newer posts” at the bottom of the page. I’ve searched the internet for codes to add in, but none of them work, and they actually mess up my entire site. How do I get this theme to display older posts and newer posts at end page, not for each individual posts. I’ve tried everything that your instructions say to change the title font. When I upload the new files, it says “incomplete template, style sheet missing. None of the files are missing when I check the zip file, so it’s something in the header that’s messing up the entire template. Can you help me change the title font. @Andrea, please post your questions in the Red Light support forum and I’ll address them there. I love the modification you did to make it blue. How can I get this download?? @Stacey, the theme in blue that you saw is the custom modification done by another user and it is not available to the public. Thank you very much for this theme. It’s really wonderful. Can I translate it into Turkish? Could you thell me if there is something I can do to fix this? Please post theme related issues to the Red Light theme forum and I’ll address it there. I’ve started out with your free version, but I think I’m going to upgrade because I really like this theme. But first, can you tell me why I can insert a picture in a page (http://mariaelkins.com/wordpress/index.php/quilts/captivated/) and it shows up fine, but when I insert a picture in a post (http://mariaelkins.com/wordpress/index.php/blog/), no picture appears? @Maria, it seems that your site is not working at the moment. After you have got it working, please post your issue in the Red Light forum and I’ll address it there. Wonderful Theme!!! Thanks a Lot..
HY GUYS! I NEED HELP!, i have this redlight template on my wordpress site, but i dont know how to enable the viewing the full post on the index page… It is really important for me. I want to view the full blogpost on the index page. @adam, simply go to the Options page and uncheck “Post Thumbnail” and you’ll see the full post on the index page. If you have problem doing that, please post your issue in the forum and I’ll show you the details there.